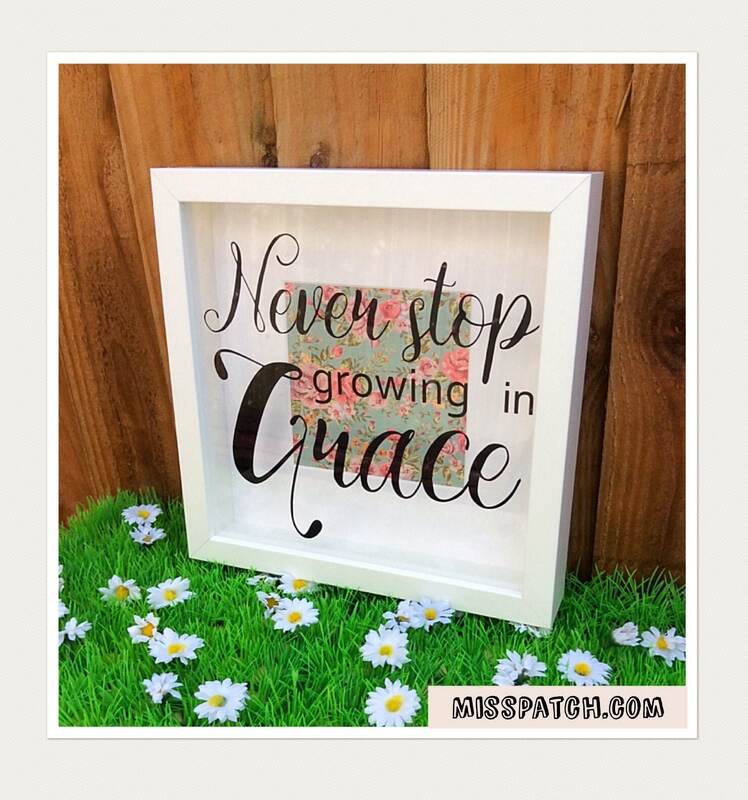 An inspirational and motivational vinyl box frame with a scripture that reads "Never stop growing in grace". 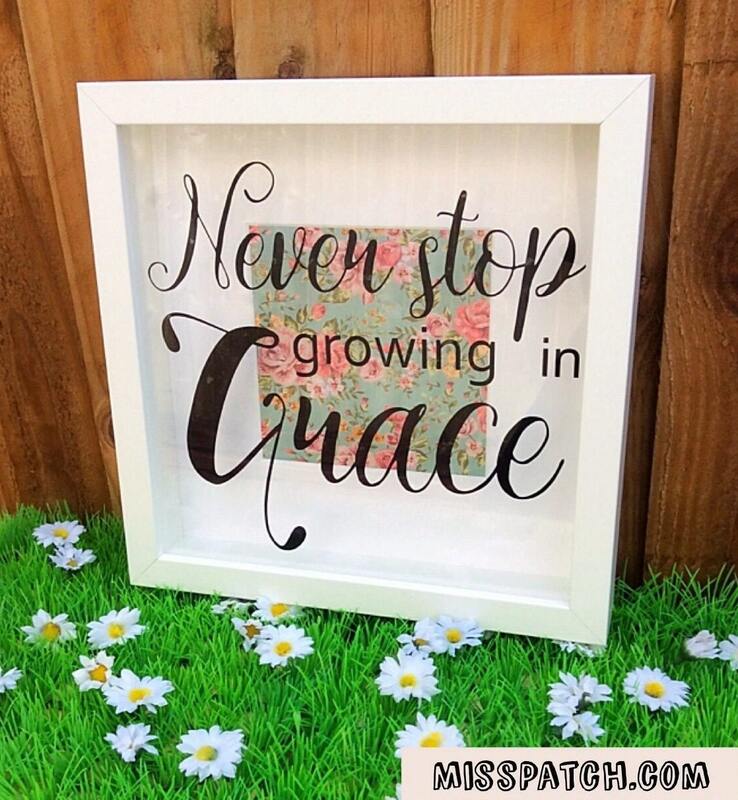 An ideal gift or keepsake for a Christian friend or relative. 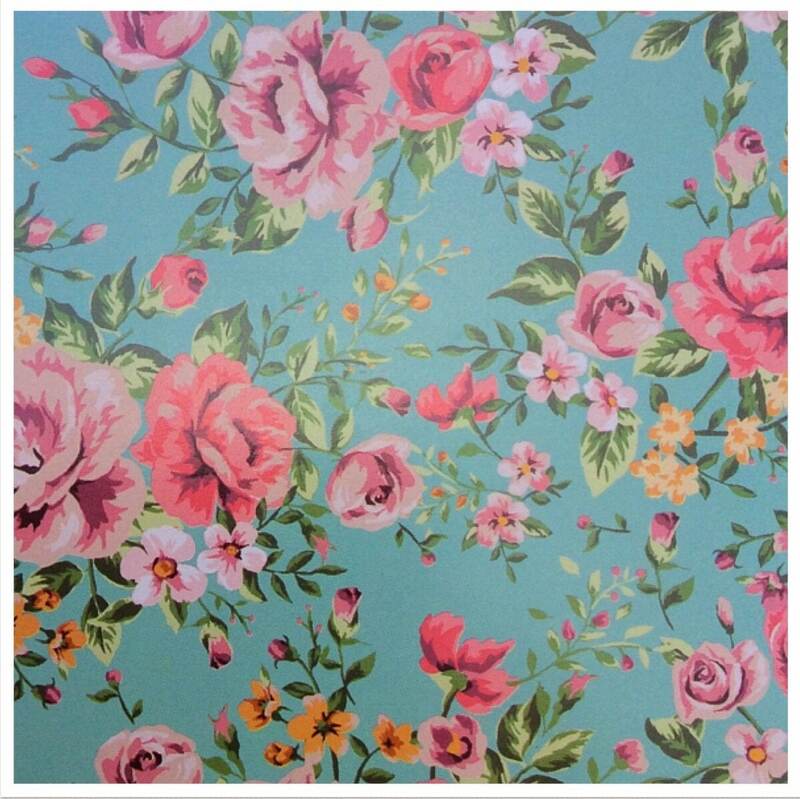 Vintage floral background with mount. PLEASE NOTE the background design/colour/pattern may not always be the exact same as advertised image due to stock levels and placement of pattern. 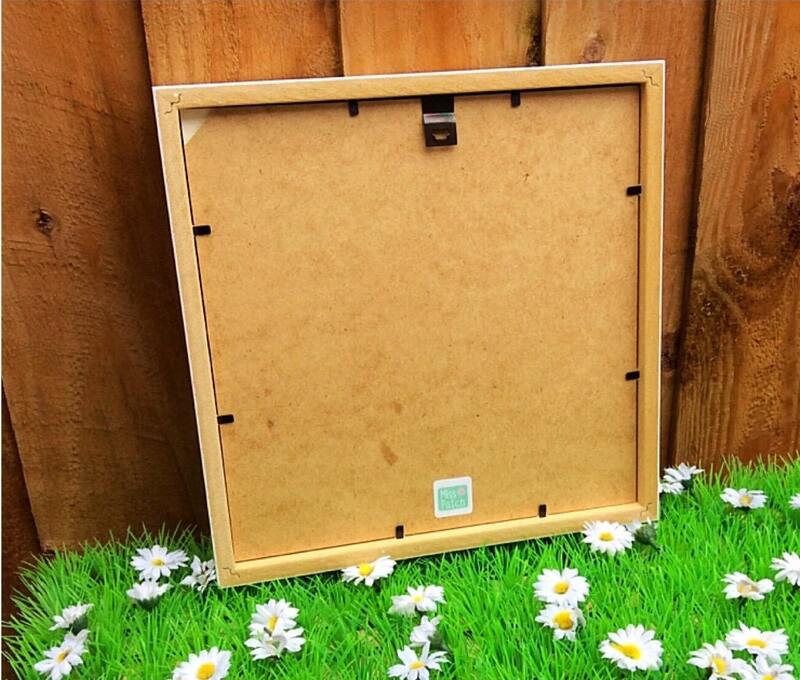 I will always endeavour to make sure it is as close as possible but please ask if your require something more personalised.